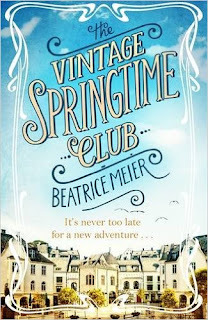 Welcome to my stop on the tour for the Vintage Springtime Club by Beatrice Meier. 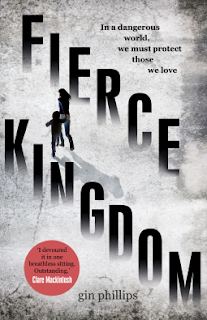 I have a great excerpt for you, a review and a giveway to win a copy of the book! 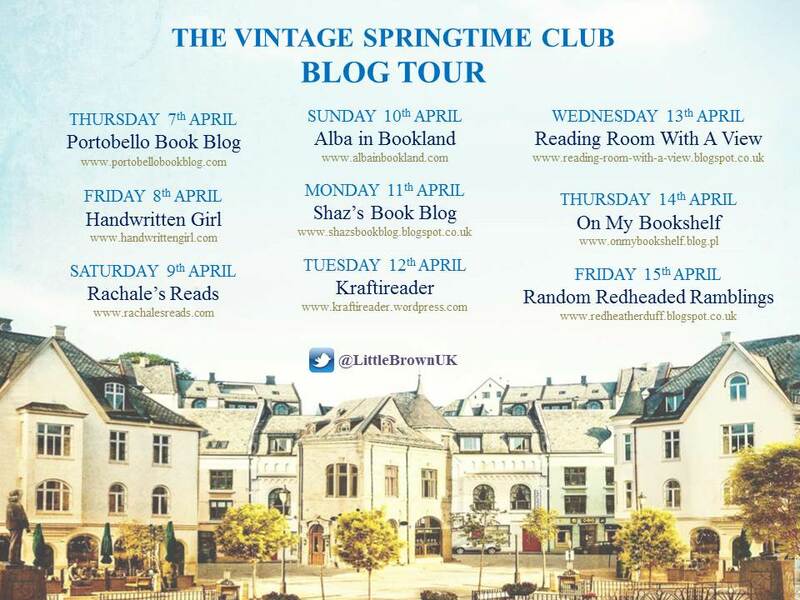 Newly retired Philip returns home to Cologne and is thrown into emotional turmoil upon bumping into his long-lost sweetheart. In the midst of a domestic crisis, Ricarda confides in Philip that she is looking for somewhere to live. And there and then, Philip suggests that she move in with him - he is setting up a flatshare. Will she join him with his mischievous dachshund named Ralf? To his surprise, Ricarda agrees, leaving Philip to scramble together a crew of retires in time for spring, for the most unlikely of social experiments. There's grumpy cigarette-smoking grandfather Harry; quiet and discreet Eckart, curiously carting around his late wife's headstone; Uschi, brimming with life, harbouring a passion for leotards and aerobics, along with sausages and outrageous knitting patterns; and then, ever-practical and warm-hearted Ricarda, towards whom Phillip is developing real feelings. Despite their differences, the flatmates thrive and embark on a series of new adventures. But when Uschi falls unwell, familiar cracks begin to show and this uniquely spirited club of friends must work together in order to survive - and truly blossom. 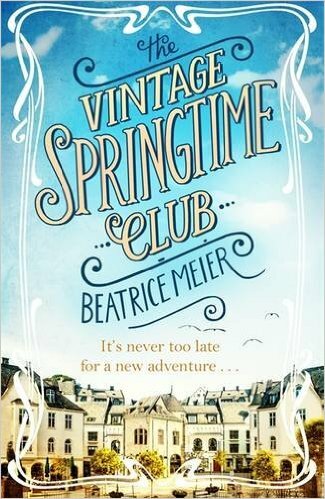 This was a lovely read, I never thought a book about sixty-some-things would give me the warm and fuzzies! Set in Germany, five very different people move in together but they aren't in their twenties, they are in their 50s and 60s and together they embark on their next great adventure - flatshare! The five are Ricarda who is the long lost sweetheart of Phillip, they are joined by grumpy Harry, upbeat quirky Uschi and slightly odd Eckart, oh and they have an adorable dachshund called Ralf. Can all of them live together and get on? Yes they can and they become a tight knit unit, a unit that faces a challenge when Uschi falls and her life changes dramatically. When Uschi comes home from the hospital, her room mates group together to support her as best as they can, the ultimate testing of their new and rekindled friendships. This is a heart warming read with lovely characters and an adorable dog, I am a sucker for pets in books and have been known to go to the last page to make sure the pet stays alive!, this book is just lovely, a sweet read which flows beautifully from start to finish. Thanks to Little Brown for sending me a copy in exchange for an honest review. rumbling noise rose from the lower floors. her head on the side of the stairwell. Ricarda climbed the last few steps, her cheeks flushed red. relieve her of something. Ralf wagged his tail. ‘Ready,’ she replied with a nod. down, with bags and a plant. Ralf wagged his tail joyfully. pawed at the air, but then opted to wait where he was. didn’t do that for just anyone. ‘Ralfie,’ Uschi gasped, and tickled his floppy brown ears. feet to steady the teetering tower. rolled nimbly aside and escaped into the nearest doorway. man while she scratched the sticky tape off the packing case. it down beside four others. wobble perilously again. Ralf toddled along the hallway. the right. Good. Or maybe a couple, if you’d be so kind. wilderness. Stop! Put that box in the bathroom, please. who was lugging some tools into another room. Philip glanced at the magazine cover on his way past. ‘Which room?’ the overweight mover begged breathlessly. eyes in horror, his expression saying, Are you nuts? Too late. It is a lovely read!